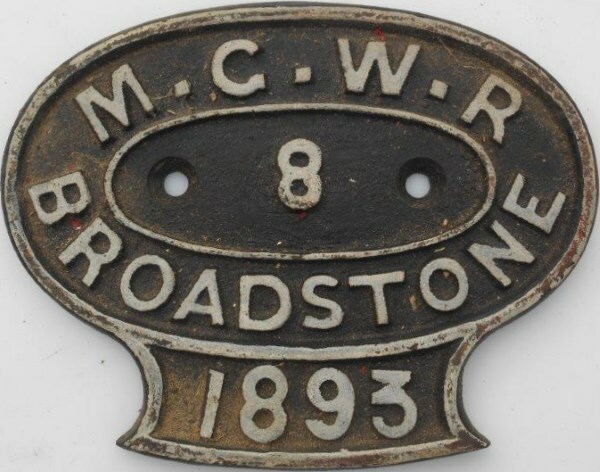 Lot 163 Midland Great Western Railway (Ireland)Oval Cast Iron Wagon Plate. "M.G.W.R. 8 BROADSTONE 1893". As removed condition.